Coffee Tables, Mooresville, NC | Gibson Brothers Furniture Inc. Coffee Tables, Mooresville, NC | Gibson Brothers Furniture Inc.
Our professionals will provide expert recommendations for the coffee tables that will look, feel and function well in your home in Mooresville. Do you have a gaping space between your sofa and your TV stand, and you feel like you need to fill the void? Does your living room furniture feel incomplete because you don’t have a coffee table? When you shop with us at Gibson Brothers Furniture Inc., we know that having a complete living room set or sitting area arrangement can make a big difference in the look and feel of your space. So, when you are looking for coffee tables that will make a great addition to your sitting and living areas in Mooresville, North Carolina, you may just find the best selection when you shop with us. While you can find some coffee tables at big box stores, you may also find that they are of poor-quality materials or don’t quite match your expectations of what your living areas should look like. Rather than settling for something that doesn’t fit your vision, allow our professionals at Gibson Brothers Furniture Inc. to get to know your needs and provide expert recommendations for the coffee tables that will look, feel and function well in your home. Our furniture is primarily made in America, offers great quality additions to your furniture, and will last longer than furniture you may find in a traditional store. Gibson Brothers Furniture Inc. is also a locally owned and operated business, and you’ll find a great selection of styles and choices at our 14,000-foot showroom. 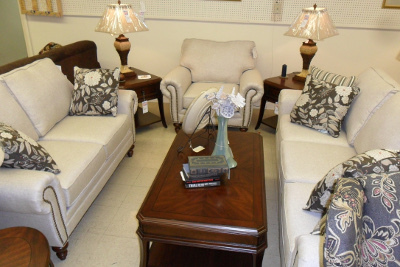 Coffee tables, living room furniture sets, TV stands and more! You’ll find what you need with us at Gibson Brothers Furniture Inc. Stop in or call today to learn more about our furniture solutions for your home.